Our holding and servery products are all designed to ensure that your perfectly prepared, delicious dishes stay that way until service. 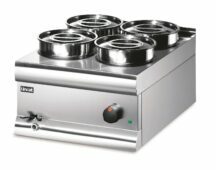 They include Bain’s Marie which are perfect for sauces, as well as larger hot cupboards that can hold and transport plated meals. 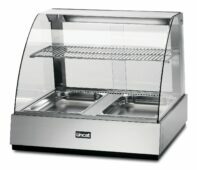 Then there are chip scuttles to keep your chips crisp and succulent, and merchandisers to display your food to potential customers while keeping the temperature just right. 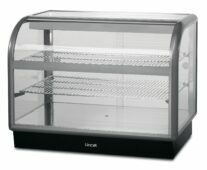 Display products where the temperature isn’t critical, such as pastries, breads and cakes. Hold sauces, soups, gravy and precooked foods for up to two hours at the perfect temperature. Keep chips and other fried food such as chicken nuggets in optimum condition before service. Keep your baked goods and meats succulently moist for up to one hour. 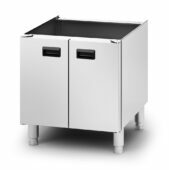 A cost-effective method for keeping pre-cooked food warm — great for customer self service. 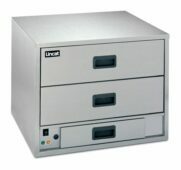 A cost-effective method for keeping pre-cooked food warm - great for customer self service. 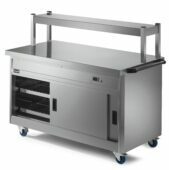 Hold and transport large quantities of food and plated meals at the ideal temperature. Static and mobile options available. 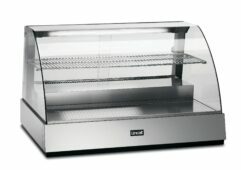 Keep your sandwiches, baguettes and yoghurts cool and fresh while displaying them to potential customers.